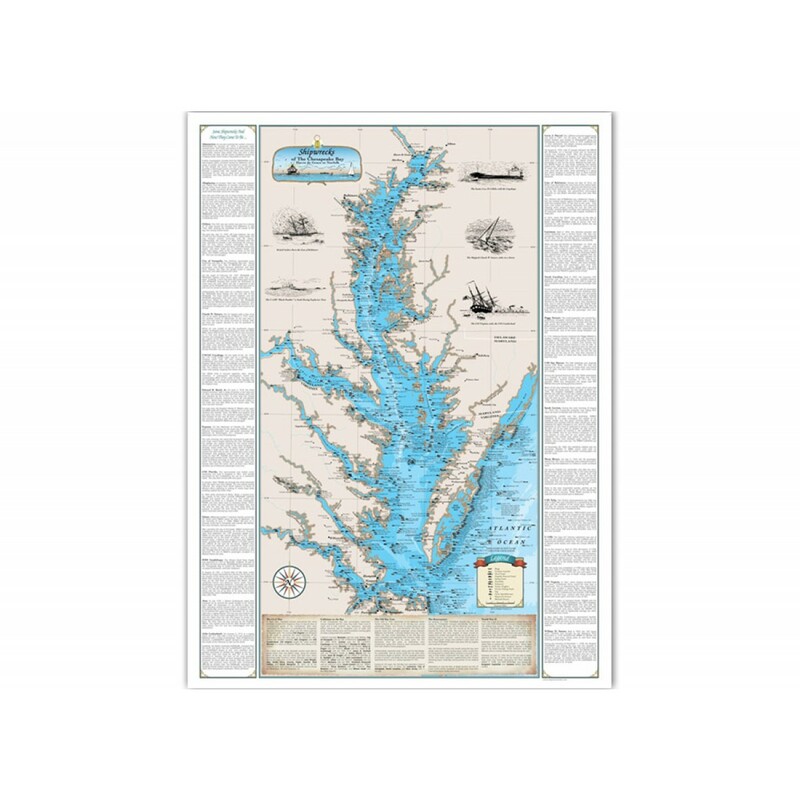 Catch the maritime spirit of the Chesapeake Bay with this unique map that details over 700 shipwrecks by type of vessel and year sunk. 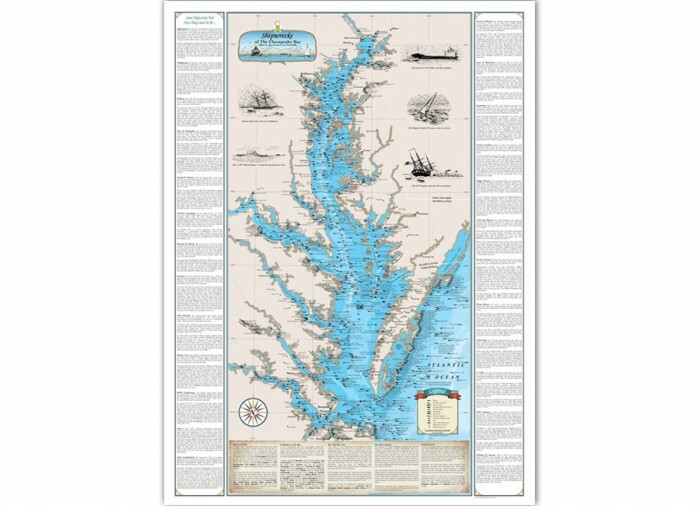 The nautical history of the Chesapeake is represented with 25 different stories of how these vessels met their watery fate along the bay including a German U-boat, revolutionary war ships, a Civil War Confederate raider, a skipjack and many more. 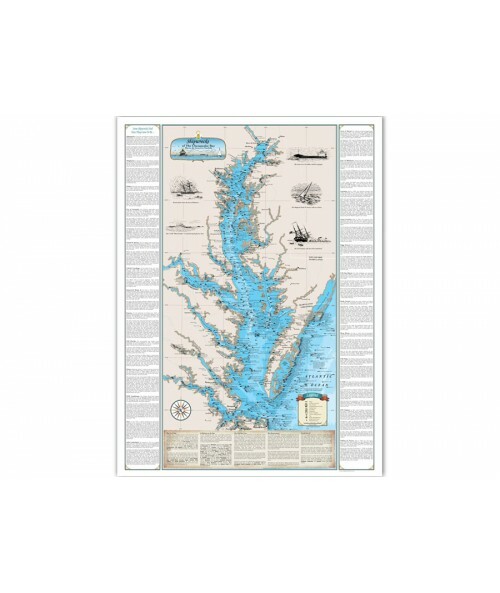 Five of these shipwrecks are captured in great detail with original pen and ink drawings and information about the Civil War, Collisions, the Old Bay Line, the Rumrunners and World War II. 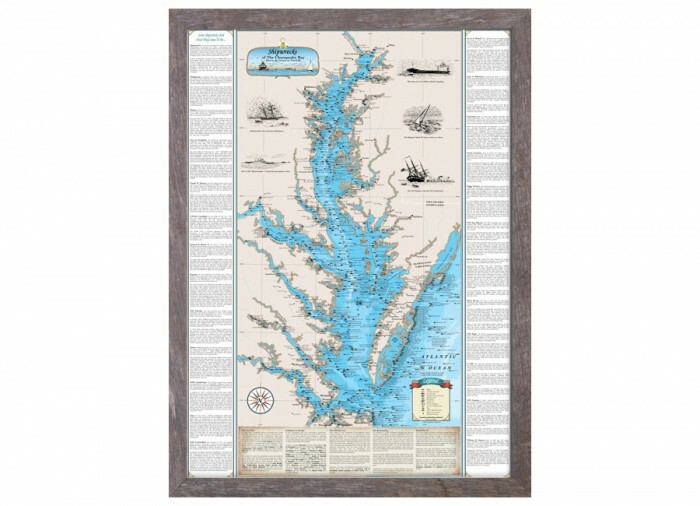 The map is 20 3/4" x 28 1/2" which makes it perfect for framing. 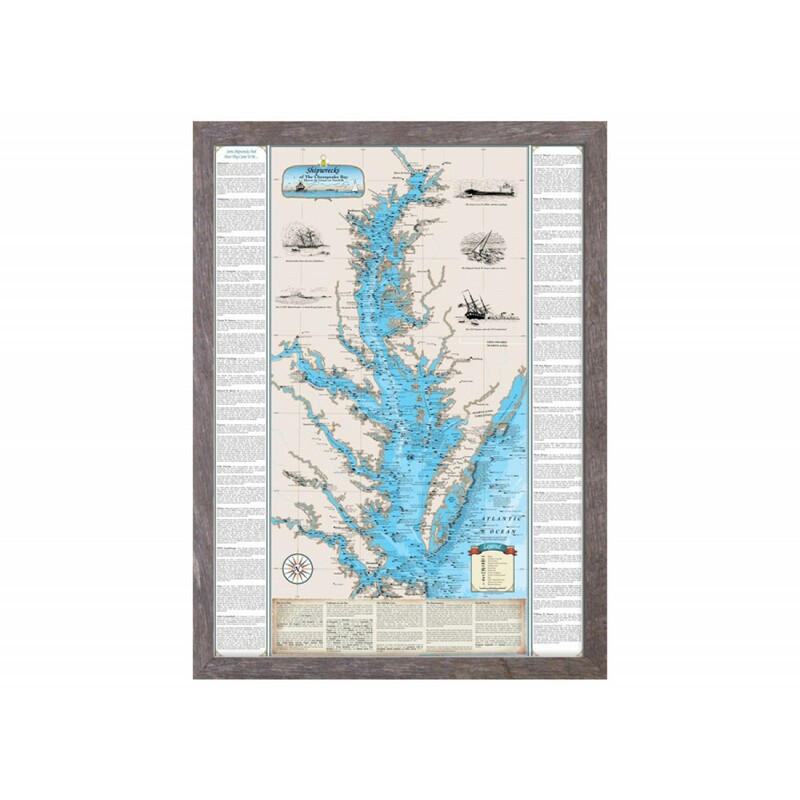 Size : 20 3/4" x 28 1/2"